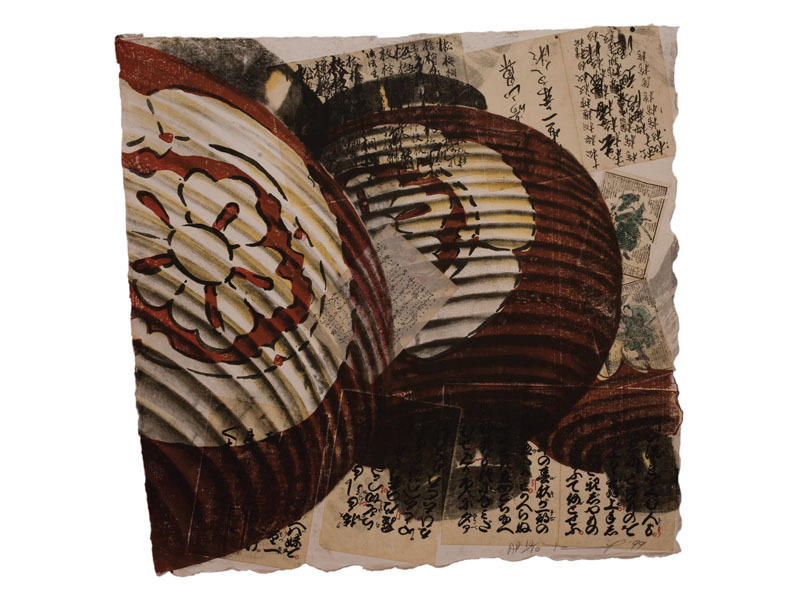 Lithograph and woodblock on Arches Cover paper with chine-collé of Edo-period book pages. Edition of 75, with 10 artist’s proofs, 1 printer’s proof, 5 trial proofs, and 1 B.A.T. Lithograph printed by Hitoshi Mori at Mori Kobo, Nagano, Japan. Woodblock printed by Fumie Shirotani and Naoko Komori at Tsumuji Studios, Kyoto. Size: 35½ x 35½ in.